Bordetella and Canine Influenza, Oh My! Bordetella, commonly referred to as “Kennel Cough”, is a highly contagious respiratory disease seen in dogs. Bordetella causes inflammation of the bronchi and trachea and the most common clinical sign is a dry, hacking cough. 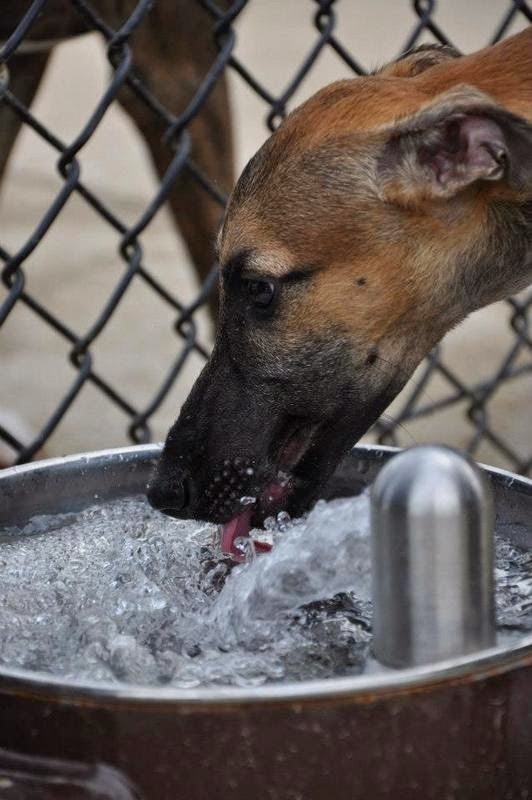 Dogs exposed to doggy dense areas within Frederick, MD and surrounding areas, such as, dog parks, kennels, grooming facilities, and doggy daycare are at increased risk of getting Bordetella. It is contracted via inhalation, so if your dog comes in contact with an infected dog, the chances of him getting it is very high. 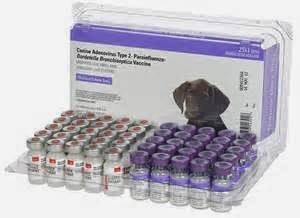 Protect your dog against Bordetella by taking him to your veterinarian for a Bordetella vaccine. Keeping your dog protected will ensure that his risks are decreased considerably. Canine Influenza, also known as dog flu, is a contagious respiratory disease seen in dogs. It was originally recognized in 2004 and is caused by a specific strain of influenza virus. The most common clinical signs of Canine Influenza are cough, runny nose, and fever. Canine Influenza virus is most commonly contracted by exposure to aerosolized respiratory secretions, or contaminated objects, and cannot infect people. Just like Bordetella, dogs that are at risk are those that frequent doggy dense areas on a more regular basis. 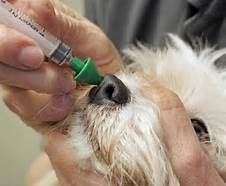 The best way to protect your dog from Canine Influenza is to vaccinate for it. 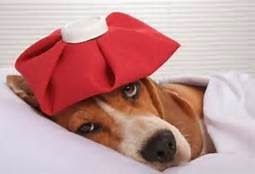 If your dog has a cough and you are concerned it may be Bordetella or Canine Influenza, call Kingsbrook Animal Hospital to schedule an appointment. Your dog’s doctor can determine if one of these respiratory diseases is infecting your dog and take the appropriate measures to get him back on the road to good health. This entry was posted in Frederick MD, Kingsbrook Animal Hospital, veterinarian on May 27, 2014 by yourfriends. Being a pet owner comes with a lot of responsibility. Regular veterinary visits and vaccines are a part of pet ownership. 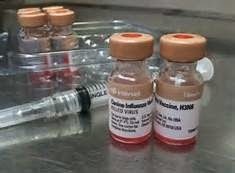 Rabies vaccines are given to dogs and cats and require owners to apply for a license within the county they are living in. Licensing your pet with the county is one of many responsibilities that tend to get over looked. Getting your pet licensed has a number of benefits and also helps to keep track of how many pets are being vaccinated against Rabies. Learn about the benefits of why it is important to license your pet and the consequences if you don’t. Vaccinating your dog or cat against Rabies is required by law in Frederick, MD. Rabies is a deadly virus that attacks the central nervous system; it can be transmitted from animal to animal and from animal to humans most often through bite wounds. Rabies infections are almost always FATAL. Licensing your pet, helps to keep track of how many domesticated pets are being vaccinated against this deadly virus and helps prevent against Rabies outbreaks. Because Rabies has such a deadly impact, tracking vaccinated pets is a must to ensure that an outbreak does not happen. We have had quite a few Rabies positive cases recently in Frederick, MD, which is a scary reality. Having Rabies positive animals within our county puts our pets at risk. 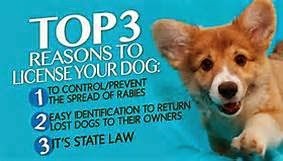 By vaccinating and licensing your pet, you are taking the first steps in making sure Rabies does not have the chance to spread. Another benefit to licensing your pet with the county is that it helps increase the chance you will be reunited with your pet in the unfortunate circumstance that he may become lost. Pet licenses have a unique number attached to them, which allow an animal control officer to access your contact information. If your pet is picked up by a local citizen and left at a local shelter, or an animal control officer has found your pet, then you can rest assured that your pet will be reunited with you. Licensing fees also help with the care and upkeep of homeless animals at the Frederick County Animal Shelter. If your pet is not licensed with the county you live in and is involved in an animal related attack or is picked up because he is lost, you are liable for some hefty fines. Also, if your dog has no means of identification, he may not be reunited with you if lost. 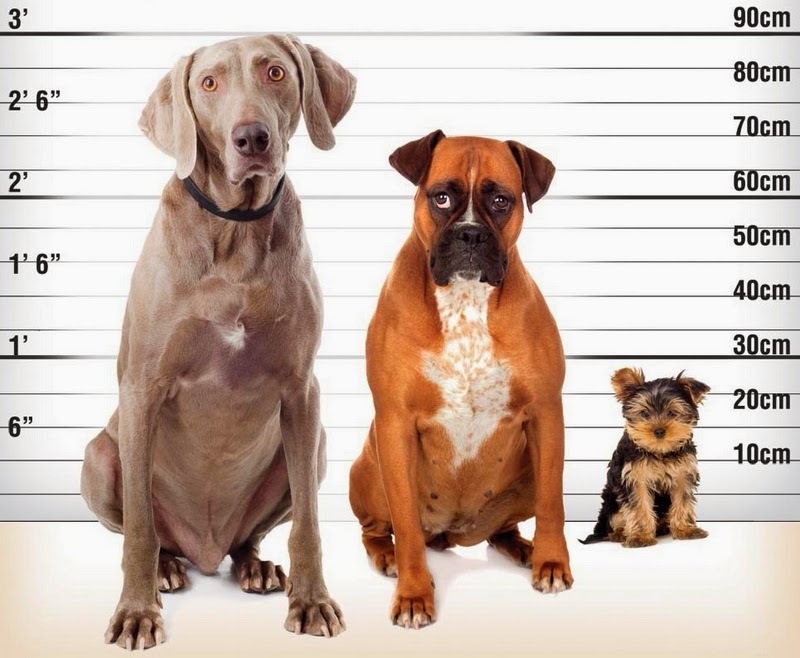 The best way to avoid a stiff fine down the road and assure your pet is returned to you is to apply for a license. To get the forms to apply for a county license CLICK HERE. 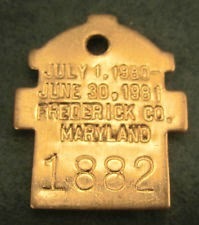 This entry was posted in Frederick MD, Kingsbrook Animal Hospital, veterinarian on May 20, 2014 by yourfriends. ﻿﻿With the spring season at our toes, we are all itching to get out and enjoy the warmer weather. 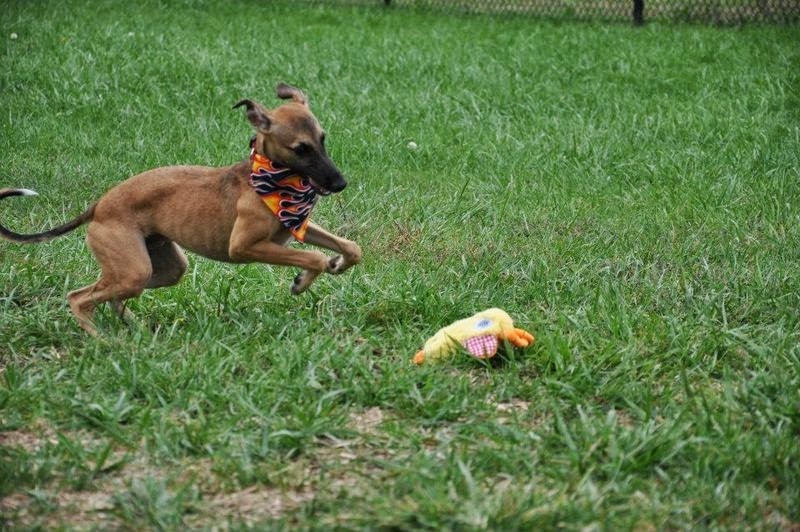 There are a number of dog parks in Frederick, MD and they are a great way to exercise your dog. Dog parks can stimulate your dog both physically and mentally, while providing opportunities for socialization with other dogs and people. As with any social event, there are unwritten rules. 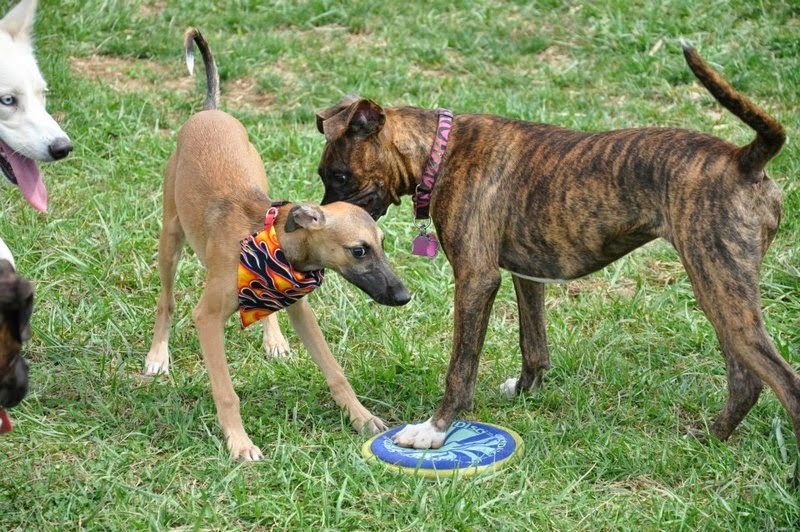 Learn ways to make sure you and your dog are “playing” them right. Ballenger Creek water fountain sponsored by KAH. As fun as dog parks can be, there can be health risks associated with a high turn-over of dogs frequenting one location. Some health risks include kennel cough, fleas/ticks, and intestinal parasites, to name a few. To be sure your dog is protected against these risks, have your dog seen for regular veterinary visits, vaccinate against kennel cough (Bordetella), use a veterinary approved flea/tick preventative, and pick up your dogs’ feces. The chances of your dog being affected by these risks are greatly reduced if the proper preventatives are taken. Social interactions take place continuously at dog parks and teaching your dog how to interact is the key to happy interactions with other dog’s and people. First, know your dog’s temperament, if you know that your dog does not get along with other dogs’; then a dog park may not be the best place for your dog. Train your dog to “come” on command. If your dog is annoying someone or another dog, a verbal command can intervene and prevent a potential problem. If your dog is causing a problem, remove him from the dog park. Keep attention on your dog at all times while visiting the dog park, this will help to negate any negative social interactions or fights. We want you to make the most of your time with your furry family member. Take the time to get out, socialize, and have fun!! 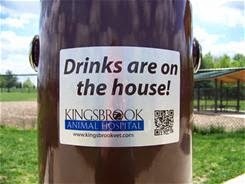 Have a “drink” on Kingsbrook Animal Hospital while at the Ballenger Creek dog park…maybe we will see you there. Rocket playing at Ballenger Creek Dog Park. This entry was posted in Frederick MD, Kingsbrook Animal Hospital, veterinarian on May 13, 2014 by yourfriends. On March 22, 2012, Diane was alerted by her dog Chance that there was something outside. Chance, a previous patient of Kingsbrook Animal Hospital was great at communicating. Anytime there was a wild animal outside, usually a groundhog that lived nearby, Chance would bark a very special way to alert Diane. Diane remembered hearing some commotion outside just a littler earlier, but didn’t think anything of it until Chance let her know. When she went to investigate, she saw some crows swooping down and attacking something on the other side of her fence in her backyard. Diane went outside right away, and to her astonishment saw two very big yellow eyes staring back at her. There it was…an owl, which had clearly been injured and was being bullied by some crows. Diane grabbed a laundry basket to cover the owl so that the crows couldn’t pick on him anymore, and contacted Animal Control. Animal Control arrived and very carefully placed the owl in a carrier and transported the owl to Second Chance Wildlife rehabilitation center. At Second Chance, the owl was examined by a veterinarian and then x-rayed to look for any fractured bones. Fortunately, there weren’t any broken bones, but his right wing was definitely hurting and he wasn’t able to fly. 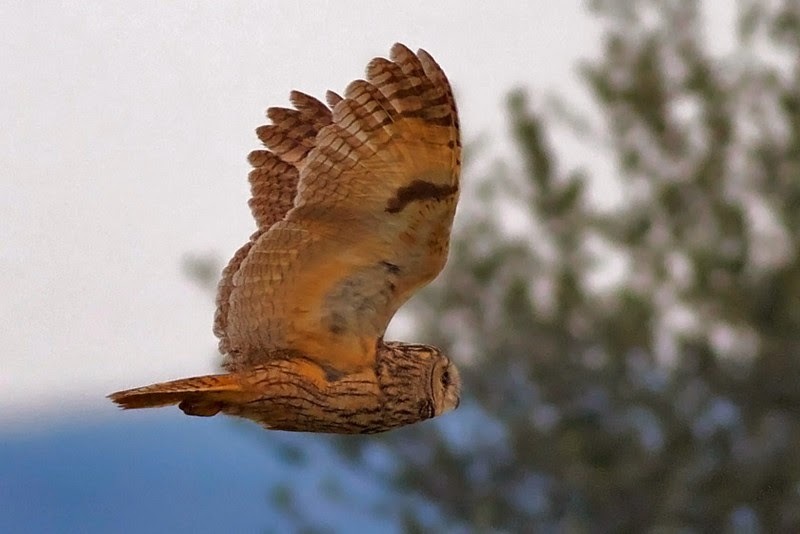 Three days after being taken to Second Chance, the owl was then transported to Owl Moon, an organization near Frederick, MD that helps to rehabilitate injured owls and other raptors. The owl was soon after named, “Elfie”. 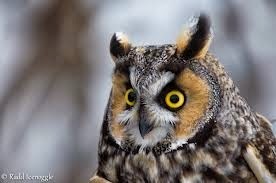 Suzanne Shoemaker, a volunteer at the Owl Moon Organization, identified the owl as a Long Eared owl. 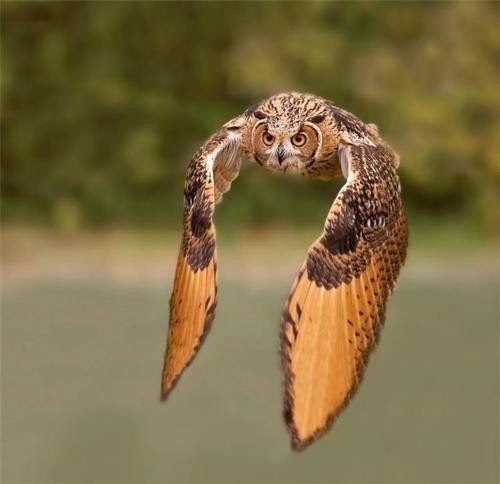 Long Eared owls are not common in Maryland and in some cases are even considered endangered. Suzanne figured this guy had been injured while migrating, and so lucky for him that Chance alerted Diane of his need for help. At Owl Moon, Elfie made slow, but steady progress. After a couple months of rehabilitation, they were able to release him back to the wild. The efforts made by Chance, Diane, Suzanne, and all of the volunteers at Second Chance and Owl Moon really made a difference in Elfie’s life. Thanks to them, we are able to enjoy such a beautiful animal. This entry was posted in Frederick MD, Kingsbrook Animal Hospital, veterinarian on May 6, 2014 by yourfriends.